Stop by the Green Tent this Sunday and learn about the Bureau of Sanitation’s “Adopt a Street Tree”program, another FREE program for the community. While you're there, find out about 6th Annual Mar Vista Green Garden Showcase. It will be Saturday, April 26 from 10 a.m.-4 p.m. 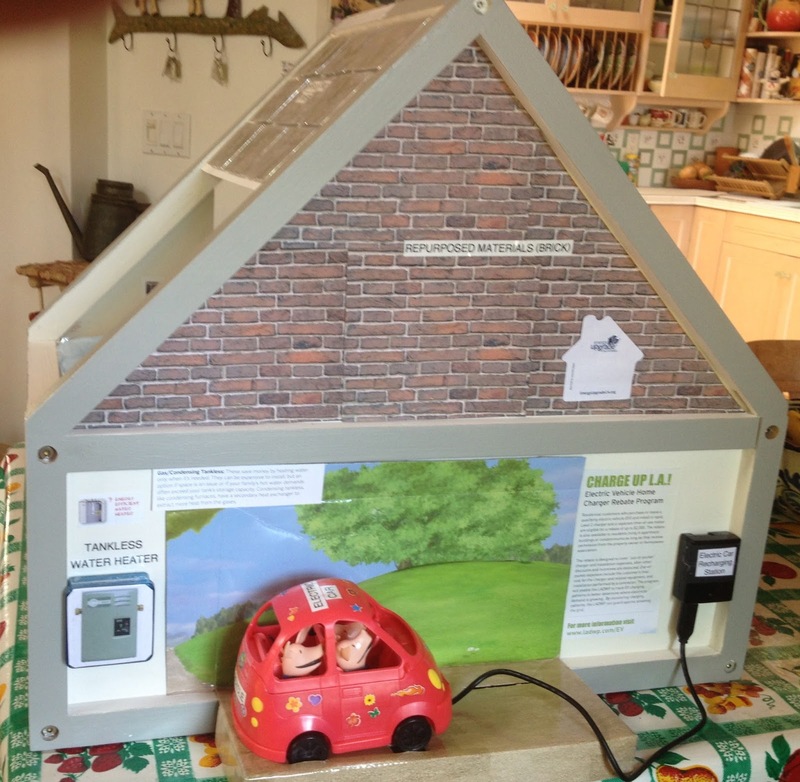 The tour is designed to inspire our community to reduce the negative environmental impacts of home gardening and increase the positive impacts. It's a wonderful opportunity to talk to garden owners and landscapers as well as representatives from various environmental organizations. The 2014 Showcase will include fewer gardens located in a few “clusters” and focus on those that feature important “green” elements: California native/drought tolerant plantings, edibles, water catchment systems, and chickens. 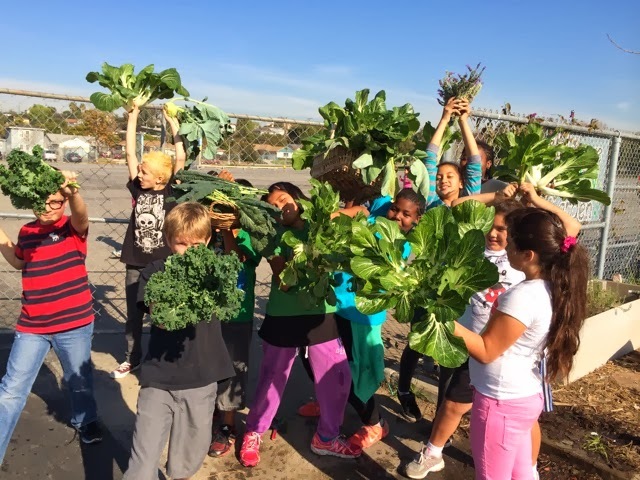 Many local school gardens are also participating and planning special events. Well, even Master Gardeners can suffer from the dreaded curse of critters eating plants, as so many of you have spoken to us about. 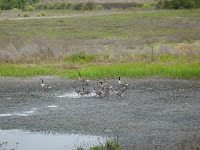 Sadly, three of the flats we planted have been eaten by something on four legs. We will still have plants for you. 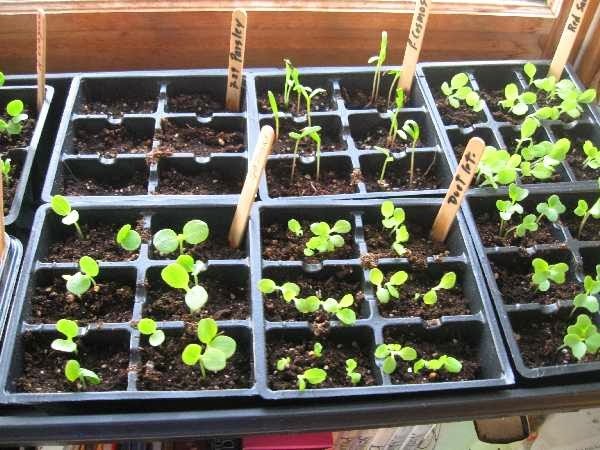 As of this posting, the lettuce mix (Mesclun), some lovely herb seedlings and the spicy green arugula are ready…and the little spinach leaves look like they might pop their heads up in time for our Green Tent visit. We’ll gather some more little green things for you as well. So don’t feel like it’s your fault when nature takes its course! Meantime, stop by to commiserate or ask advice, then pick up a free plant and some packets of seeds.There’s a lot you can plant in February, according to Yvonne Savio, the director of the UCCE Cooperative Extension LA County Master Gardener program who recommends some planning so you don’t over plant. "February in Southern California means starting a new garden. Sow beets, caraway, celery, carrots, chard, chervil, chives, collards, cilantro (coriander), dill, endive, fennel, garlic, kale, kohlrabi, leeks, lettuces, mustards, green onions, bulb onion sets, flat-leafed parsley, peas, white potatoes, radishes, shallots, spinaches, and turnips. 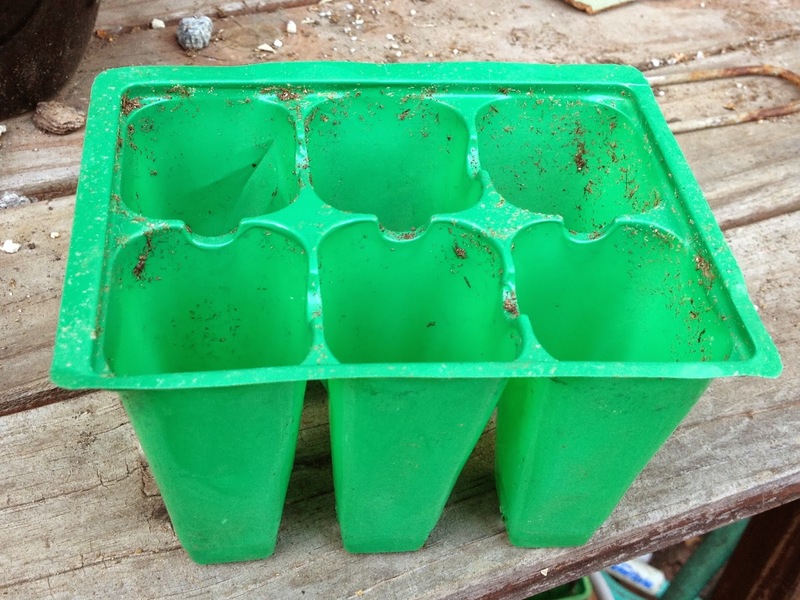 Indoors, start eggplants, peppers, and even tomatoes." The Santa Monica Bay Restoration Commission (SMBRC) is bringing a fun interactive display to the Green Tent this Sunday: a wheel you can spin to learn about various environmental topics - and win a prize! Stop by and bring the kids! For the past 25 years, the Santa Monica Bay Restoration Commission and its non-profit partner, The Bay Foundation, have worked for the long-term health of the 266-square mile Santa Monica Bay and its 414-square mile watershed through research, ecological monitoring, education, planning, and clean-up efforts. Over the years, hundreds of interns and volunteers have helped the SMBRC with the Ballona Wetlands Ecological Reserve monitoring, kelp forest restoration off the Palos Verdes Peninsula, Clean Restaurants and Clean Boating programs outreach, native garden installations, and so much more. People from both their LMU and downtown office at the Green Tent to share with you information about these efforts and some of the environmental challenges. 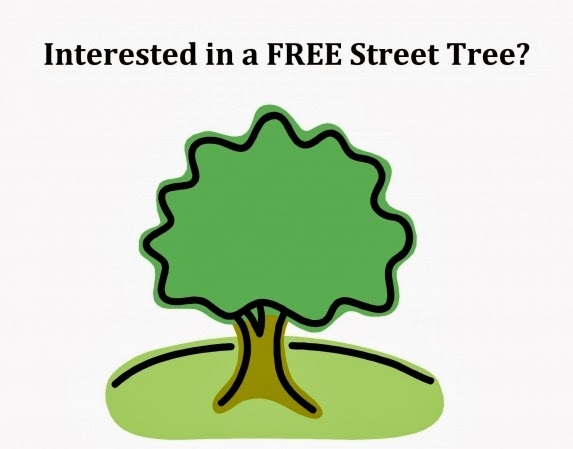 Susan also has information on the Bureau of Sanitation’s “Adopt a Street Tree” program, another FREE program for the community. Come by the Green Tent for green upgrade ideas to help transform your home to be sustainable, eco-friendly and a more valuable property. The Mar Vista Farmers Market and the Los Angeles Bureau of Sanitation invite you to a dedication ceremony for the nineteen trees recently planted on Grand View and Pacific, the sustainable town square of Mar Vista. The new trees will shade the sidewalks and create a more pleasant and walkable shopping area, benefitting retailers and the community for years to come. Councilmember Mike Bonin will officiate the dedication ceremony. He's also holding office hours from 10:00 a.m. till noon at the MVCC tent. But, that’s not all. The Mar Vista Community Council Green Committee and Million Trees LA have teamed up to distribute 100 fruit trees for adoption. Tree adoption starts at 9:00 a.m. at The Green Tent. You must be resident of the City of Los Angeles or own property within the City to be eligible to take home a tree. Verification will be required (ID/Driver's License or copy of a DWP utility bill). Supplies are limited and will be distributed on a first come, first served basis. Limit one adopted tree per property address.